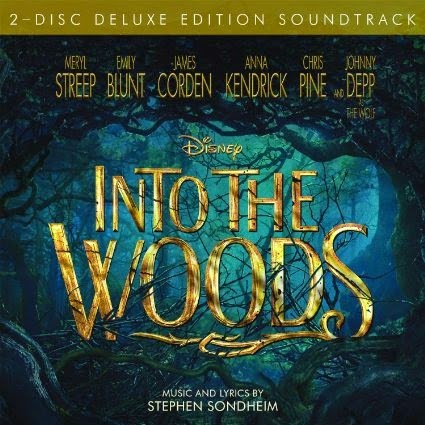 Win a copy of the Into The Woods 2-Disc Deluxe Edition Soundtrack! Frozen fans enter to win an Elsa Funko figure! Frozen fans enter to win an Anna Funko Figure!!! For Brownies: In a saucepan, bring the sugar, butter and water to a boil over medium heat; remove from the heat. Stir in 1 cup chocolate chips and vanilla; stir until smooth. Cool for 5 minutes. Combine flour, salt and baking soda; stir into chocolate mixture. Stir in 1 cup chocolate chips. 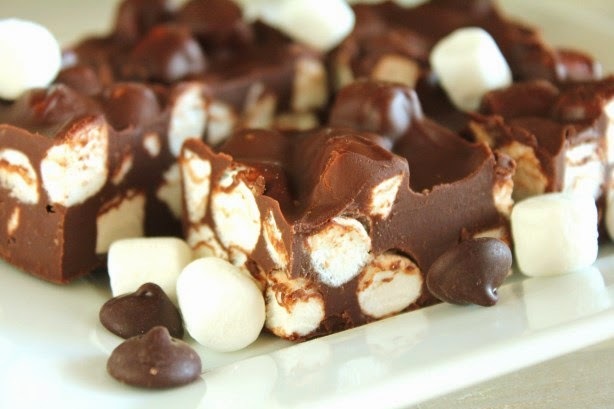 Pour into a greased 9-inch square baking pan. Bake at 325°F for 35 minutes or until set. Cool completely. Place in the freezer for 30-40 minutes (do not freeze completely). Cut into squares. For Coating: In a heavy saucepan or microwave, melt remaining chips with shortening; stir until smooth. Using a small plastic fork with two middle tines broken off, dip brownies to completely coat; shake off excess. 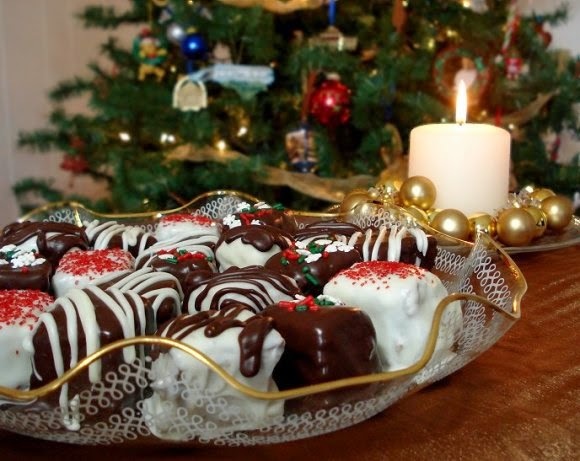 Place brownies on waxed paper-lined baking sheets; immediately decorate with M&M's or other toppings as desired or drizzle with melted baking chips. Let stand until set. Store in a sealed container in a cool place. Melt chocolate and milk over low heat. Stir in powdered sugar, nuts and cherries, mix well. Chill until cool enough to handle. 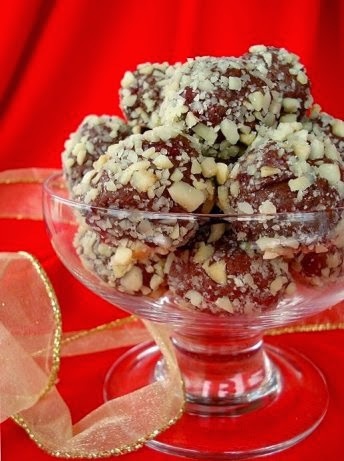 Shape into 1-inch balls and roll in nuts or coconut. Melt chocolate and peanut butter together in saucepan over low heat, stirring constantly until smooth. Win an Olaf Funko figure! One of my favorite musicals is coming to the big screen in a major way. 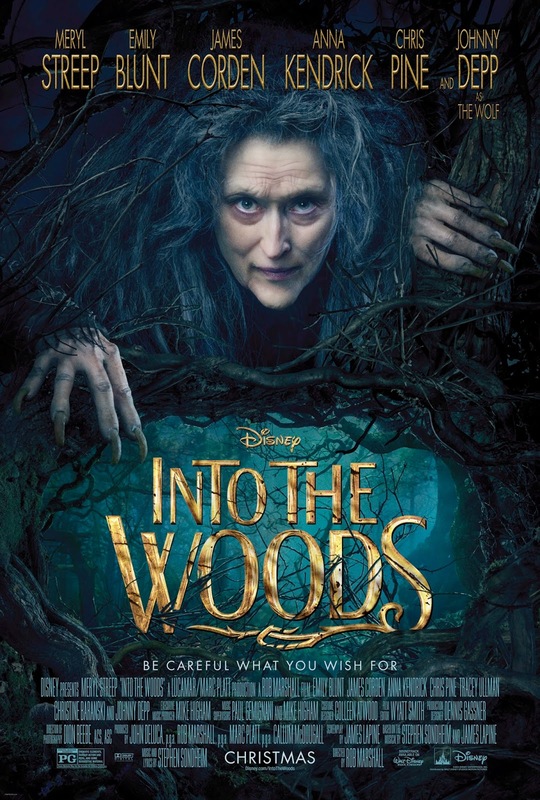 The musical adaptation of Stephen Sondheim's Into The Woods opens in theaters on Christmas Day. There have been several false starts by other directors, but this time, Director Rob Marshall is the right person to bring this musical to life on film. After all, Marshall was the director of the Best Picture Oscar winner Chicago, the last musical to bring home the Academy's top prize. Right from the opening number, which sets up the tale of why all of our characters are venturing forth Into The Woods, we are off on an epic journey. The musical follows the classic fairy tales of Cinderella, Little Red Riding Hood, Jack and The Beanstalk and Rapunzel all weaved together with an original tale of a baker and his wife who are trying to have a child and a witch who has placed a curse on them. Many times when a musical comes to the screen, the director chooses to space the songs and scenes differently than the stage blocking and that takes away from the story's stage roots. For instance, instead of allowing a character to sing their solo, the director has that character move around in the world around them, Or instead of having what amounts to a wide shot like on the stage, the director uses the close-up for the film. But Marshall knows when to let the big songs just break free and when to focus on the drama. 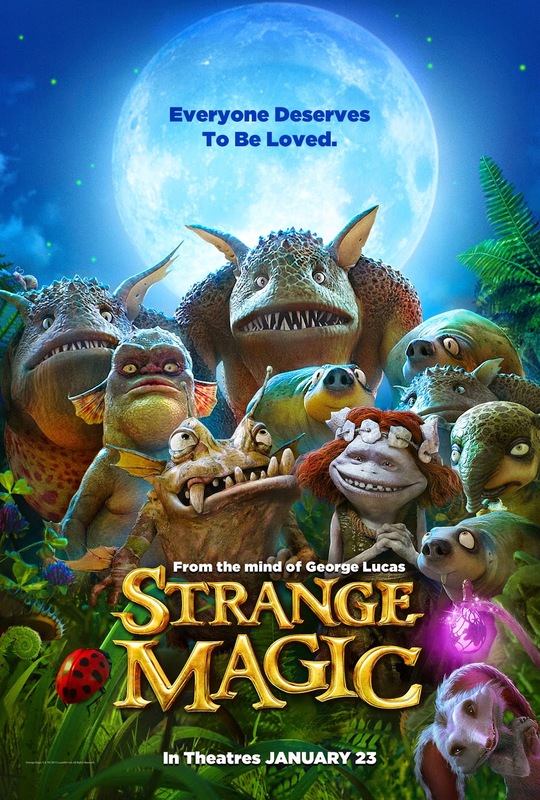 This allows for a great transition between the darkness of the story as well as the magic. The movie is superbly acted and moves along swiftly. If a film deserves a win for best ensemble it is this film. This cast supports one another. If there is a lead, then it is James Corden, who plays the Baker, along with his wife, who is played to perfection by Emily Blunt. 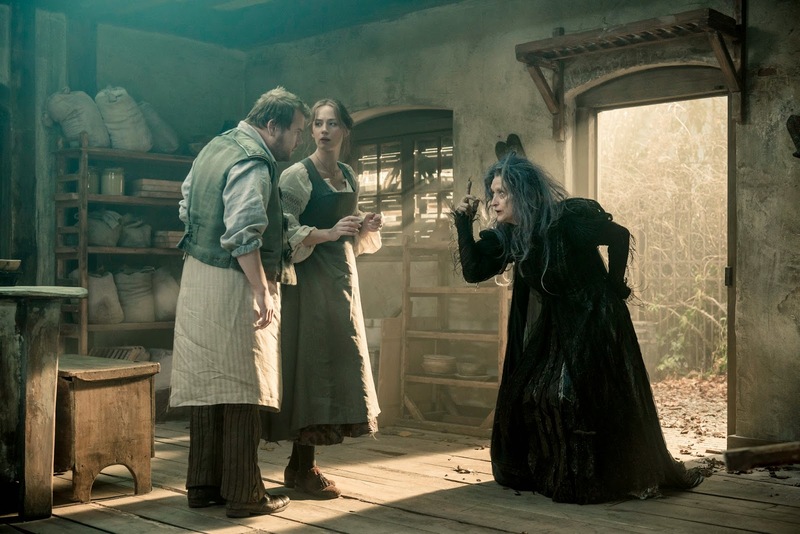 Meryl Streep is a shoe-in for her 19th Oscar nomination, but this time for a supporting role as the witch. Chris Pine and Anna Kendrick are solid here as well. I had no idea that Chris Pine can sing! 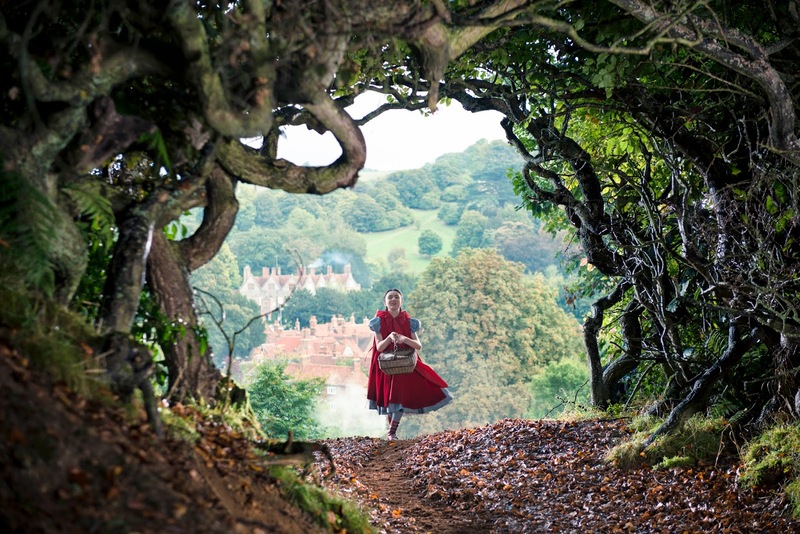 Plus, you will fall in love with Lillia Crawford as Little Red Riding Hood and Daniel Huttlestone who plays Jack. Johnny Depp is the wolf, but is only in the movie for a few minutes, but he does sing one of the darkest songs in the entire musical. I was worried that this movie would not remain as dark as the stage show but Disney allowed this film to retain much of its darker tones. There are some creative changes but I think fans of the stage show will agree that this film plays out to the audience. 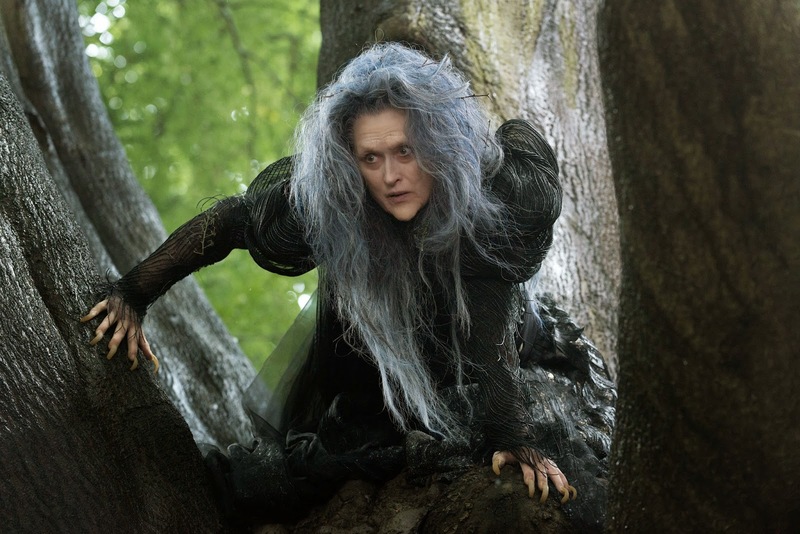 I expect Into The Woods to rack up the nominations come award season. Spectacular performances combined with stunning sets and costumes make this the musical, no, the film of the holiday season! How does this all end? Will there be a happy ending for everyone involved? Well, in order to find out, you must venture Into The Woods! 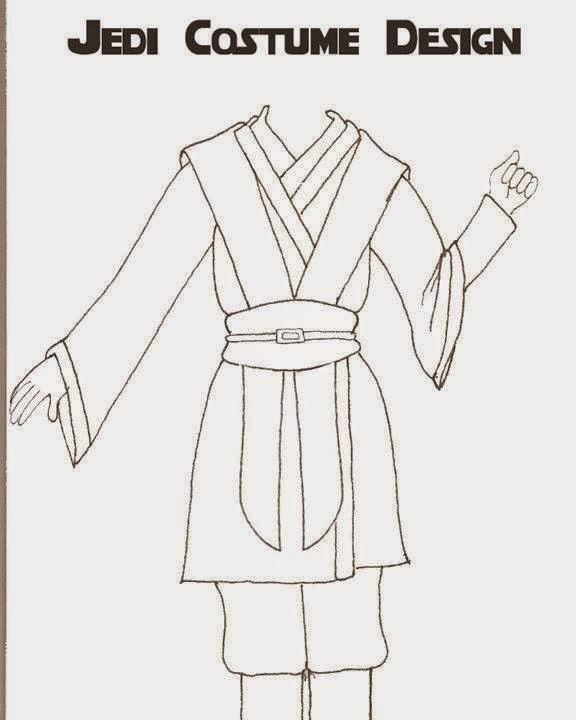 Take a look at this awesome Pluto Jedi Costume created by my friend Petah! 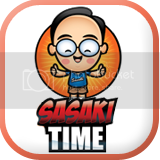 He will create the tunic, sash, belt and tabarbs for your own costume! You only have to provide your own boots and pants! 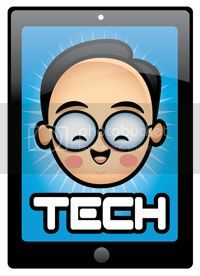 The cost is $125 and the template below is the one you can color and email him your design at petahv@me.com. 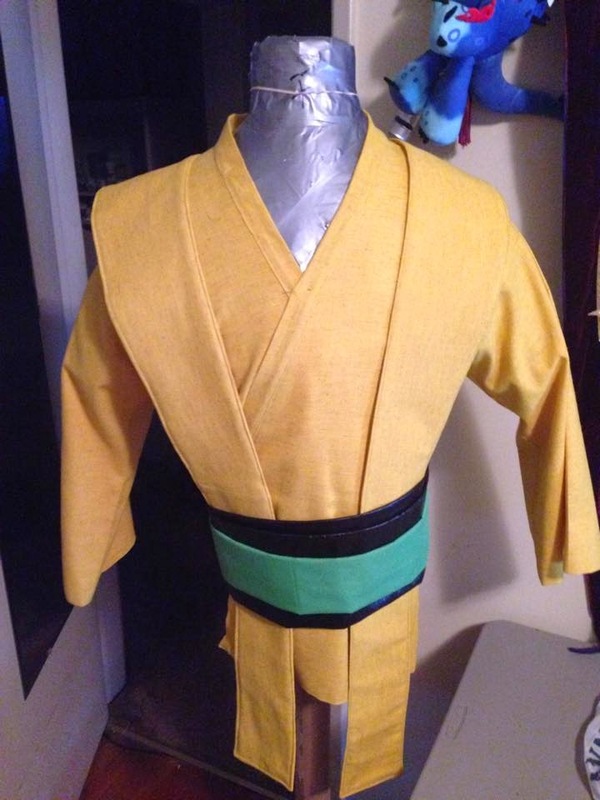 Take a look at this awesome Goofy Jedi Costume created by my friend Petah! He will create the tunic, sash, belt and tabarbs for your own costume! You only have to provide your own boots and pants! The cost is $125 and the template below is the one you can color and email him your design at petahv@me.com. 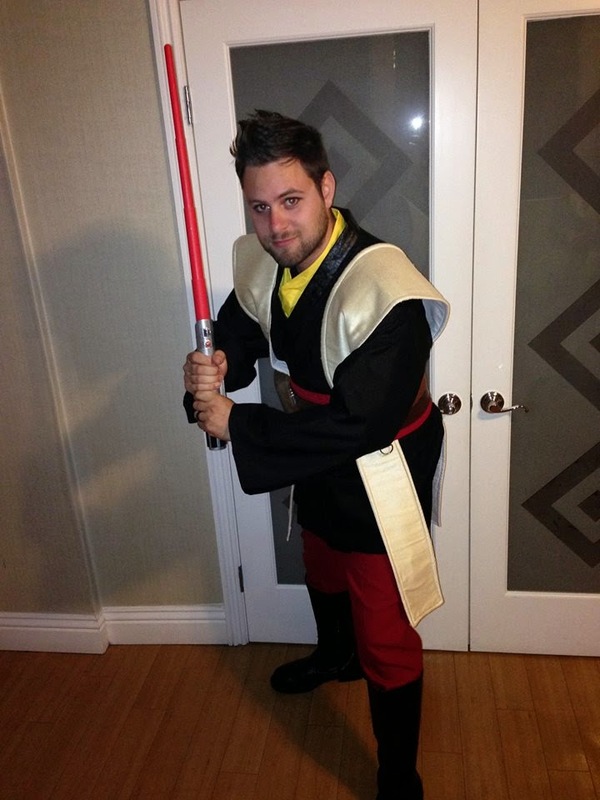 Take a look at this awesome Mickey Mouse Jedi Costume created by my friend Petah! 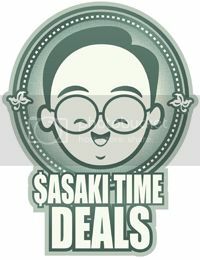 He will create the tunic, sash, belt and tabarbs for your own costume! You only have to provide your own boots and pants! The cost is $125 and the template below is the one you can color and email him your design at petahv@me.com. 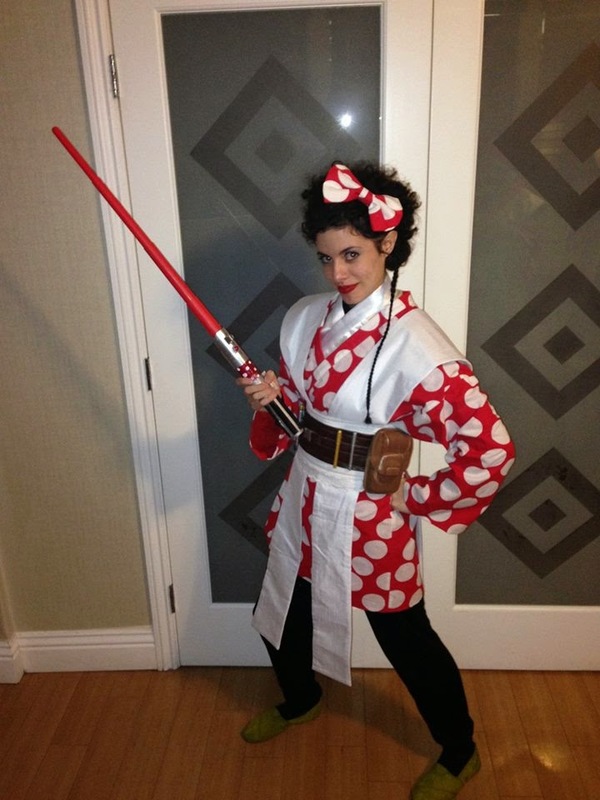 Take a look at this awesome Minnie Mouse Jedi Costume created by my friend Petah! 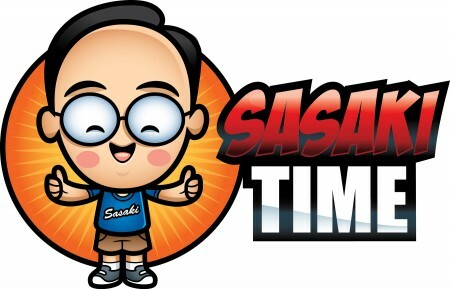 He will create the tunic, sash, belt and tabarbs for your own costume! You only have to provide your own boots and pants! The cost is $125 and the template below is the one you can color and email him your design at petahv@me.com. 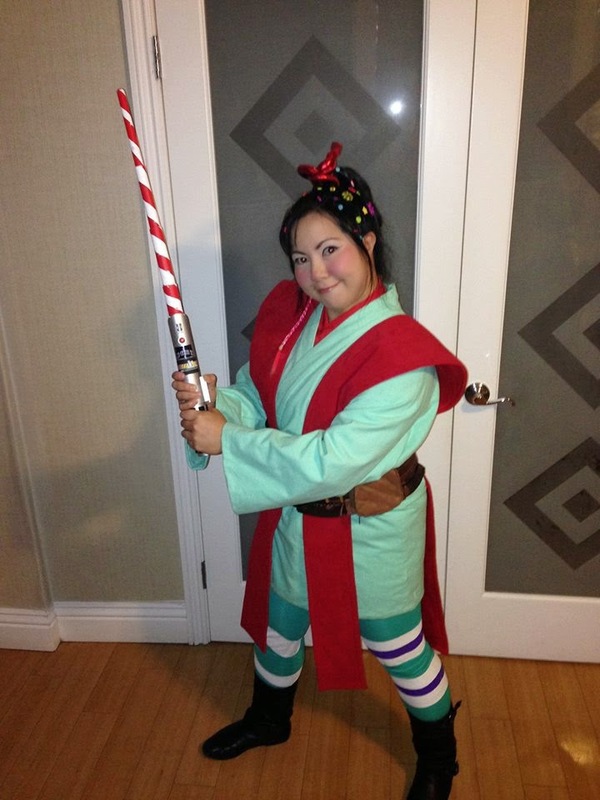 Take a look at this awesome Vanellope Jedi Costume created by my friend Petah! He will create the tunic, sash, belt and tabarbs for your costume! You only have to provide your own boots and pants! The cost is $125 and the template below is the one you can color and email him your design at petahv@me.com. 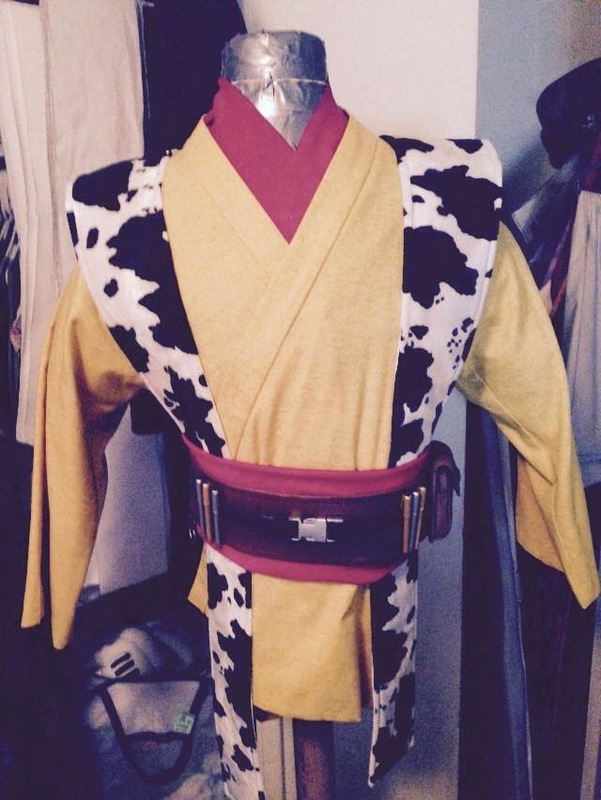 Disney Bounding Sheriff Woody Jedi Costume created by Petah! 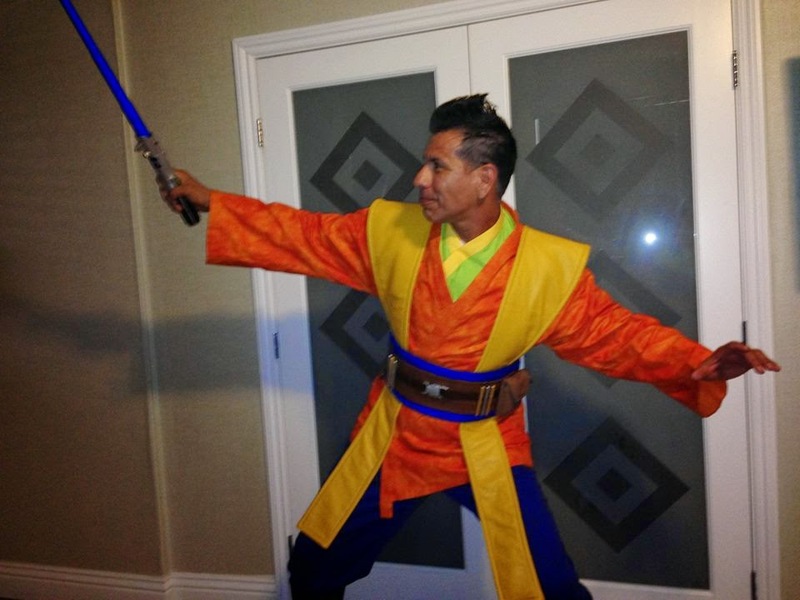 Take a look at this awesome Sheriff Woody Jedi Costume created by my friend Petah! 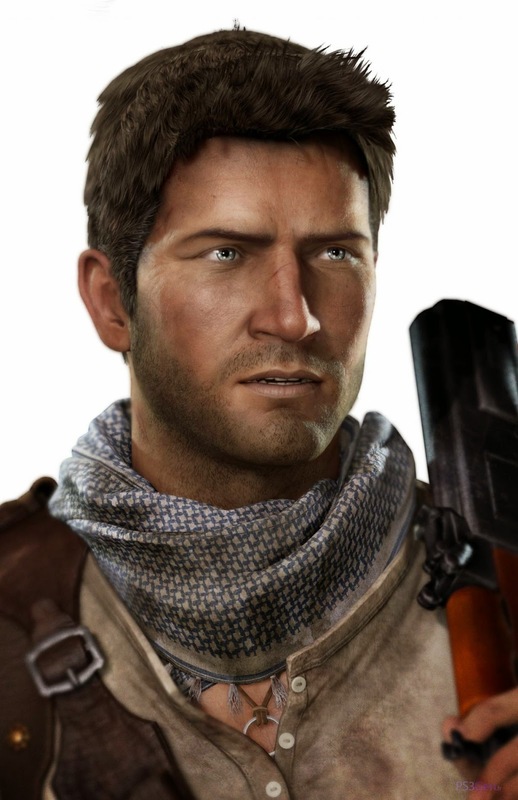 He will create the tunic, sash, belt and tabarbs for the costume! You only have to provide your own boots and pants! The cost is $125 and the template below is the one you can color and email him your design at petahv@me.com. 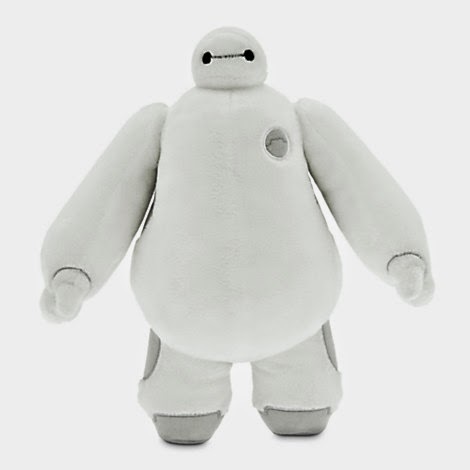 Win this awesome Baymax plush! The beginning of 2014 saw the Finding Nemo Submarine Voyage undergoing a rehab that would take much of the year. The rumors were swirling that the subs were not coming back. By the fall they did return. Still in January I went with my friends to help them take photos for their baby announcement! The end of January brought us into the beginning of Lunar New Year! A fantastic celebration in Disney California Adventure! The end of January also brought us to some of Hollywood making it's way into Disneyland. Brad Bird was filming scenes for his upcoming film Tomorrowland here at it's a small world. February brought us Dapper Day and one of my new favorite days in the park! 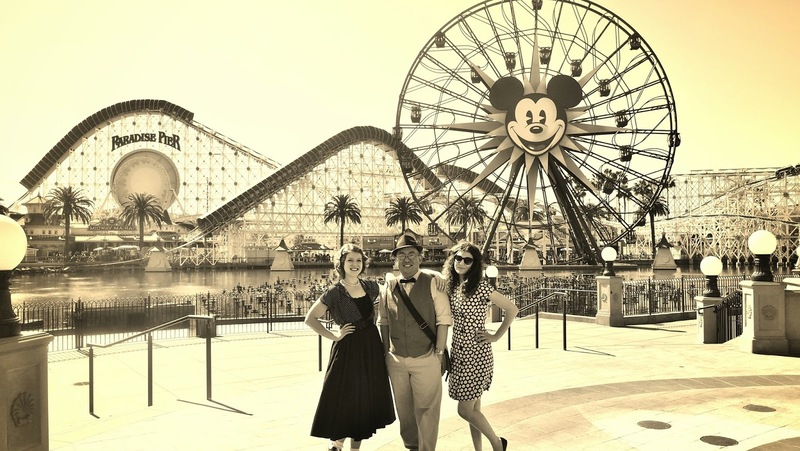 Bringing back the style and dress of the 1950s into the parks was the inspiration for this event. Now it has become a celebration of many dress styles and a wonderful day to come in and enjoy the park. March brought a beautiful new Starbucks to Downtown Disney. March also brought us the Captain America Meet and Greet to Innoventions! March also brought back a fully refurbished Big Thunder Mountain Railroad! New trains, new track, new special effects brought this classic thrill attraction a modern day upgrade! March also brought us digital projectors to the Animation Courtyard in Disney California Adventure! The Courtyard has never looked more stunning! April brought us the 50th Anniversary Celebration of the 1964 New York World's Fair but sadly that celebration was limited to only it's a small world. 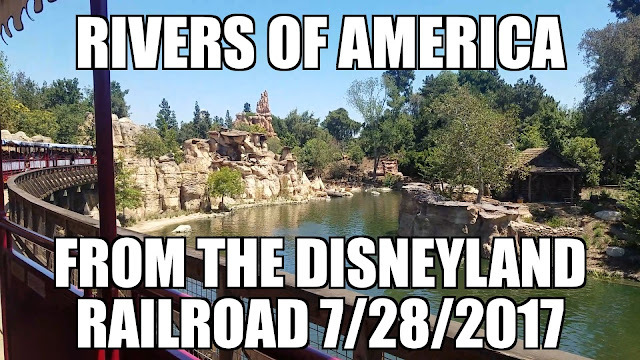 I brought in my guide book and map to take photos with all the attractions that came back from New York to Disneyland. April brought us an exclusive sneak peek of Maleficent in Disney California Adventure at where It's Tough To Be A Bug normally plays. April also brought us the awesome Easter egg creations over in the Big Thunder Ranch area! I look forward to all of their new Easter eggs these creative folks come up with! April also brought the return to area specific merchandise! I spent a ton of money this year on park merchandise! Keep it up merchandise team! May also brought us some great new theming touches to the Pacific Wharf in Disney California Adventure! Gone were the plain walls and now here are colored walls with various signage to add life to the area. May also saw the replacement of the trolley sundae dish with these Mickey Kitchen Sink ones! These new dishes are larger and shown here with the Oswald sundae on Buena Vista Street! May also brought us another 24 hour party! This awesome Darth Vader popcorn bucket made its debut! May also brought new Cars/Star Wars mash-up vehicles! Here are some of my new purchases in Cars Land! Fourth of July weekend brought us the return of a refurbished Alice In Wonderland attraction. Stunning new projection systems really add life to this classic attraction. 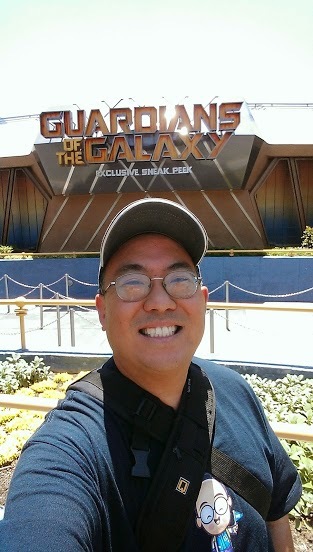 July also brought us the Guardians of The Galaxy sneak peek in Tomorrowland! July also brought this great new bowl for your Dole Whip! Hey, that's my Dole Whip! Get your own! August brought us a fun game to collect jujus in Adventureland. 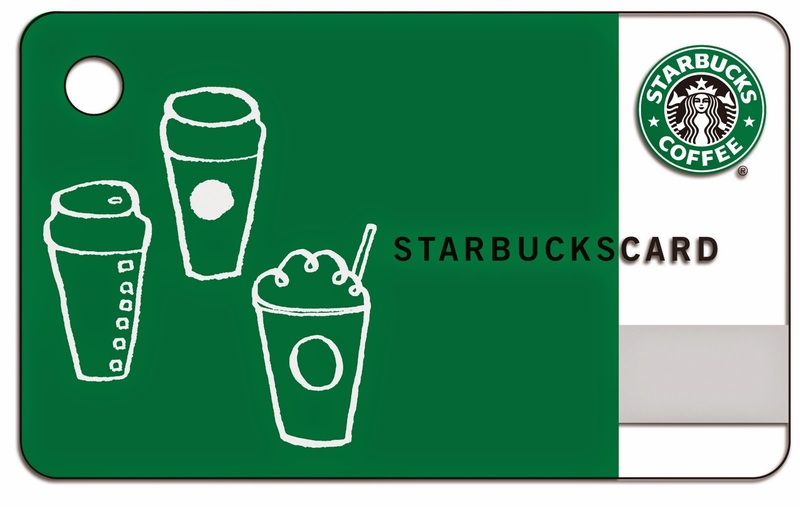 You could also collect two jujus for two great new food items as well! August also brought us a great new Haunted Mansion art exhibit to help celebrate the mansion's 45th Anniversary. August also brought these cute Spoonful of Sugar limited time dessert special to celebrate the 50th Anniversary of Mary Poppins. September brought us the start of Halloween Time at the Resort! September also means that the pumpkin carvers are back and I love checking out what they come up with year after year! September also means the return of one of my favorite attractions, Haunted Mansion Holiday! September brought us Oswald in Disney California Adventure! September also brought us the exclusive sneak peek of Big Hero 6! 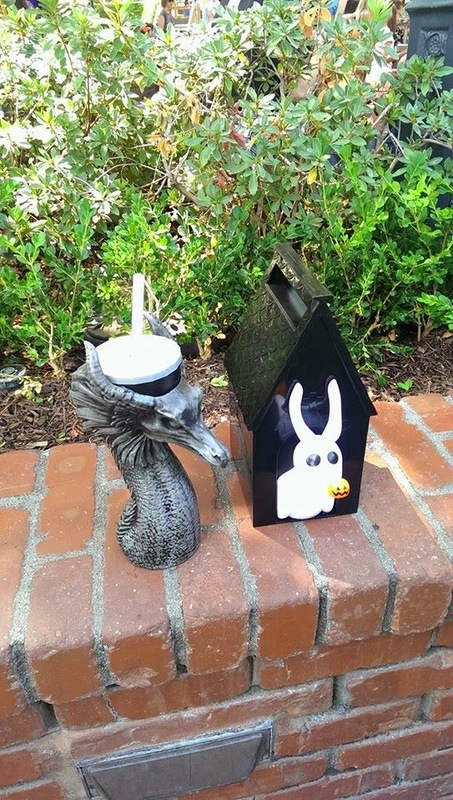 September brought us this awesome Maleficent sipper and this fantastic Zero popcorn bucket! November brought us this awesome Baymax sipper and a teriyaki street dog and coconut milk tea to celebrate the opening of Big Hero 6! December brought these Oreo churros to Downtown Disney! December brought this massive gingerbread version of the Grand Californian. December brings us a California Christmas in Disney California Adventure! December brings us to Christmas Time at the Carthay Circle Theatre. December brings the amazing Disneyland Christmas Tree! December brought me to a great new place to take a photo of the Disneyland Christmas Tree! 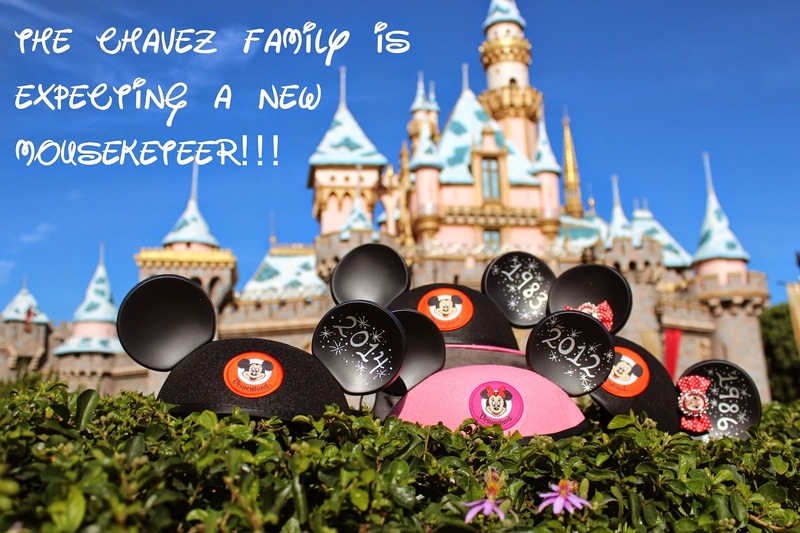 2014 was another great year at The Disneyland Resort! I hope you enjoyed this look back at some of my favorite things that happened this year! Here is to a great 2015 and the 60th Anniversary of Disneyland!